Today, a player on PlayStation 4 has earned the Platinum Trophy for Red Dead Redemption 2 – just 4 days after Red Dead Online entered early access. 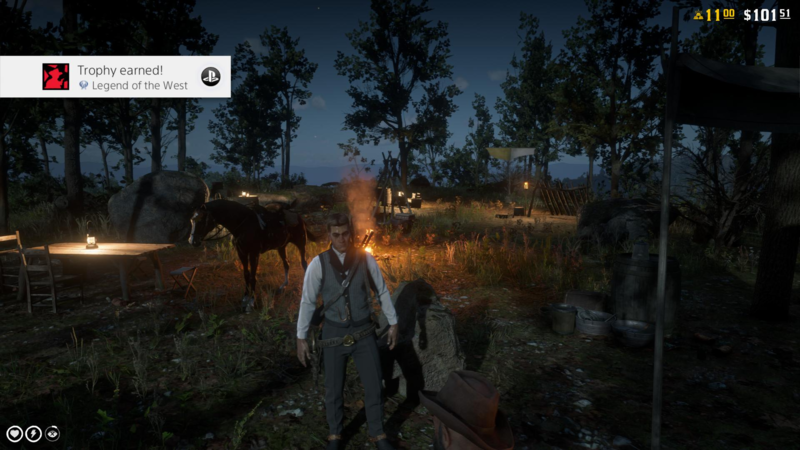 It took over a month for someone to get the platinum trophy due to the requirements of the player having to earn Red Dead Online trophies. Finally, the user – named Waraneasy – has earned the trophy. The trophy was earned 30th Nov 2018 at 10:26:09 AM UTC and only one other person has earned it since. We received a tweet from a user named “JHONYBOYLOKO” on PS4 who claims he got the trophy first, but we have no time evidence of when he gained the trophy. Congratulations Waraneasy, you fast wizard.